Geoffrey Emerson, who is said to have designed it for Captain Thomas Hazell, built Cashel House, a house with asymmetrical gabled elevations, in 1840. Geoffrey Emerson is a great, great grandfather of the present owners. The Hazells were English Landowners and were also agents for a Scottish firm buying Kelp – a type of seaweed. The old Kelp store still stands by the pier opposite Doon House. Captain Hazell and his Wife celebrated their 40th Wedding Anniversary at Cashel House in 1885. The Rose Hedge out side the Bar is said to be his present to her on that occasion. Mrs Hazell laid out a lot of the Gardens and planted many of the Flowering trees and Shrubs that you see today. From 1919 to 1951 Cashel House was the home of Jim O`Mara T.D. and his family. Jim O`Mara was the first official representative of Ireland in the United States and he devoted his life and talents to make Ireland a nation. Jim O`Mara was a keen botanist and found happiness in Cashel House. Over the years he carried out a lot of work on the Gardens. The three streams, which flow through the Garden, were a delight to him with their banks clothed with bog plants and Spirea & Osmunda ferns. O`Mara turned the orchard field into a walled garden of rare trees, Azaleas, Heather’s and dwarf Rhododendrons, which his children named ‘the Secret Garden’. 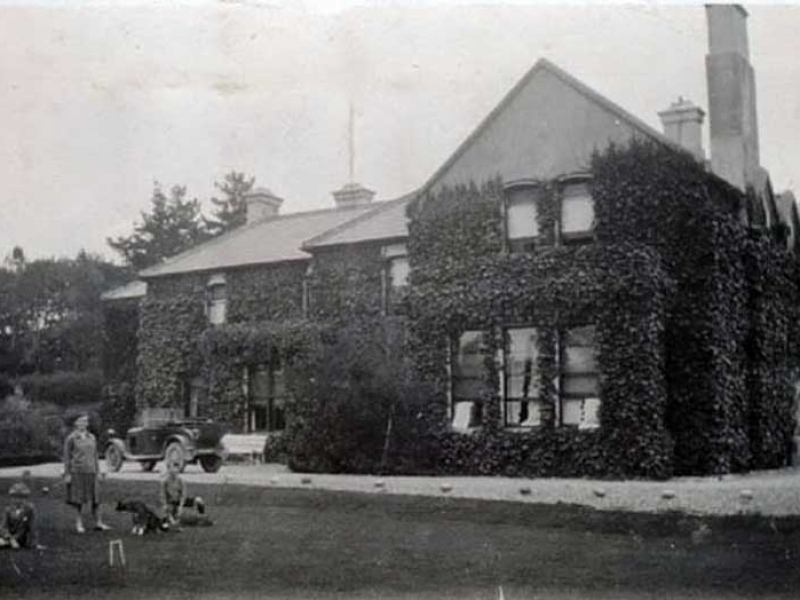 In 1952 Cashel House became the home of Lt Col and Mrs Brown Clayton, formerly of Brownes Hill in Carlow. During their time at Cashel House the Browne Clayton’s had Harold McMillian, the late British Prime Minister, stay as their guest. The Browne Clayton’s also gave the Garden its notable collection of Fuchisas. Dermot and Kay McEvilly purchased Cashel House in 1967. Total refurbishment began immediately, with a fine collection of antiques being added and offering all modern facilities. The house reopened in May 1968 and ‘Cashel House Hotel’ was born. Prior to the McEvilly`s acquiring the house Lt Col Browne Clayton had been ill for a number of years. During this time the Gardens had become overgrown, the restoration of which is still ongoing. The original house was preserved by the McEvillys`s and any additional building was done to the side and rear of the main house to maintain its original elegance. Cashel House Hotel is still owned by the same family today. It was in Cashel House that the late General and Madam De Gaulle of France spent two weeks of their Irish holiday in May 1969.